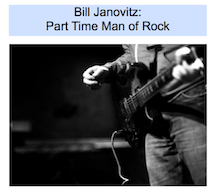 I recently stumbled across the audio recordings of some of my interviews for ROCKS OFF. Here is one with producer/engineer Andy Johns, recorded August 30, 2012. It is one of three interviews with him I did within a few weeks. In this one we discuss Sticky Fingers; Exile on Main St; recording at Mick’s house, Stargroves; Jimmy Miller; the cruelty Mick and Keith (damn, I should have drilled down on THAT one); and more. Sadly, he passed away the following April. As you can hear, he was a charming and generous interviewee. It is painful to listen to myself being nervous fanboy. But, I think that probably comes through in the book anyway. It makes a great Christmas gift, by the way!